Australian boulder opal pendant with adjustable black braided cord. 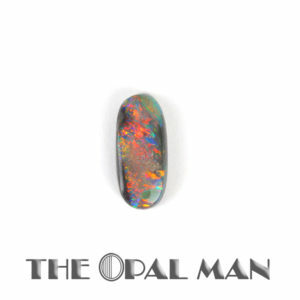 This hunk of opal has a great dark blue base with glimmers of green, teal, and purple throughout it. Naturally occurring bands of potch run vertically along the stone as well as a bright white streak of it on the bottom of the stone and a cloud of it at the top.